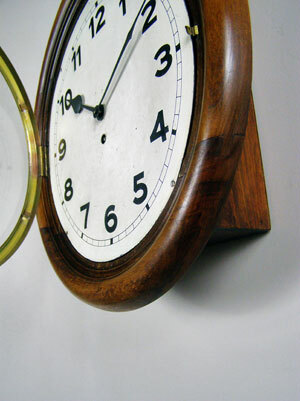 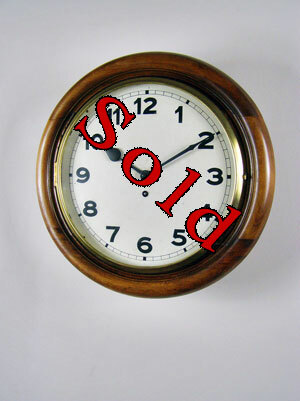 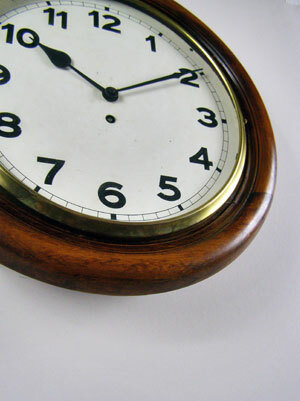 This is a 1940s dial clock, unsigned, in a stained beechwood case with a white painted dial. 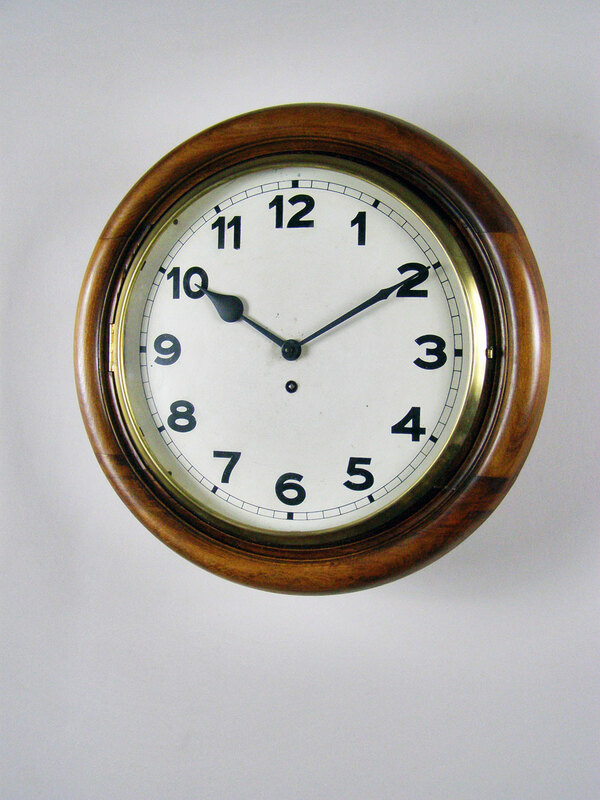 The clock has Arabic numerals and spade hands. 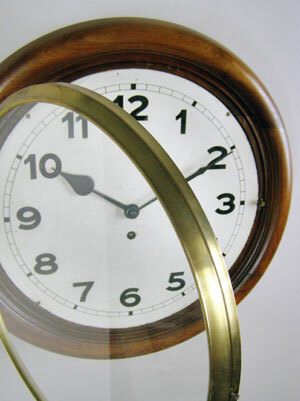 It has a surrounding spun brass bezel covering the 13 inch dial, as well as an eight-day barrel movement.